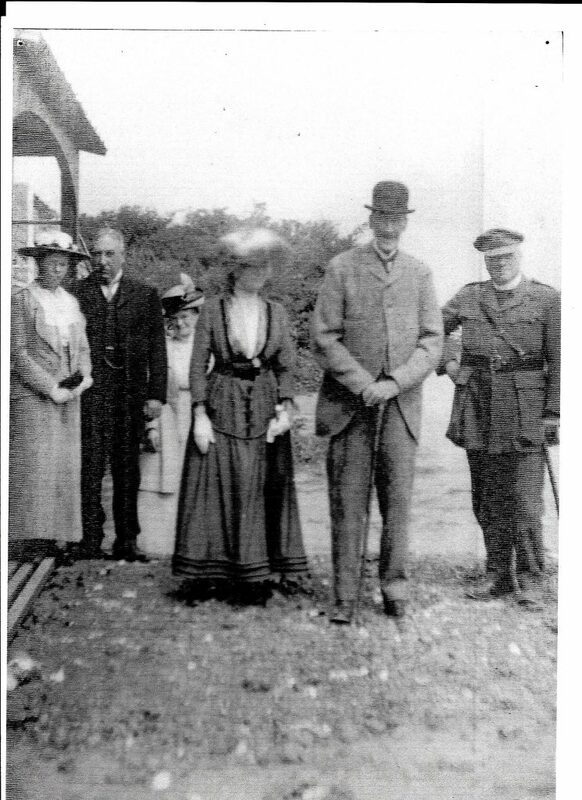 Our charity has been helping people in Dorset since 1918. Dorset Blind Association has existed for a century, always with the same goal: supporting blind and partially sighted people in Dorset. Dorset Blind Association was formed under the name Dorsetshire County Association for the care of the Blind (DCAB). It was intended to help veterans returning from the war who sustained injuries affecting their sight. Blind homeworkers are paid to make baskets and nets. Other blind people are trained to work as musicians, masseuses, knitters and piano tuners. Braille social centres were set up in both Weymouth and Parkstone. Lucy Scholes was employed as our first home teacher. Living on Portland, Lucy Scholes was even provided with a car (rare for that time) for travel and in her report in December 1926 she recorded having made 300 visits since 16th August that year, giving lessons in Moon (a system of raised shapes), Braille, knitting and basket-work. The death of the first President Lady Portman, who lived then at Bryanston House, near Blandford Forum. Since then many other well- known local land owning families and dignitaries have held key offices for the charity. Belmont Court, a home for blind people, was opened in Parkstone. Over the years a significant number of social and activity clubs were established, each providing much needed opportunities for people to enjoy the company and companionship of others. We are offered a mini-bus for the use of blind people in Poole, from Bonhomie United Charity Society, Southampton. We also receive financial help from Hetherington Charities for Aged Blind Persons, Cloth Workers Company, Gardner’s Trust for the Blind, The Royal Blind Pension Society, London Association for the Blind and the Hampshire & I.O.W. Educational Trust for the Blind. DCAB Blind Shop sent up in Barclays Bank, Poole selling confectionery products and more. All proceeds go straight to DCAB. A social group for the Young Blind in Poole set up for the first time. The first paid secretary is hired, after almost 70 years of DCAB’s existence. Her job was to set up local branch committees to oversee each area and to work towards a resource centre. DCAB issued the first Link Magazine, which has now become the Dorset Link Newsletter. First volunteer coordinator recruited and Dorchester office opened. The first home visitor coordinator was employed. A free helpline was introduced. Dorset County Association for the Blind becomes Dorset Blind Association. The Eyebright Lottery was also launched as well as an Arts & Theatre group started. In 2006 Dorset Blind Association pioneered a mobile equipment service, demonstrating specialist aids and equipment in people’s homes. It currently provides a number of community based services, all aiming to help people come to terms with their sight loss and then still enjoy functional independence, personal safety and social participation in their local community. Our 90th anniversary – National Lottery Grant awarded enables HVS in Bournemouth and 2 sight Equipment Vehicles launched. 2nd Grant awarded from National Lottery. James Weld becomes the new President. Lord and Lady Fellows & Stephen Frears agree to become patrons. 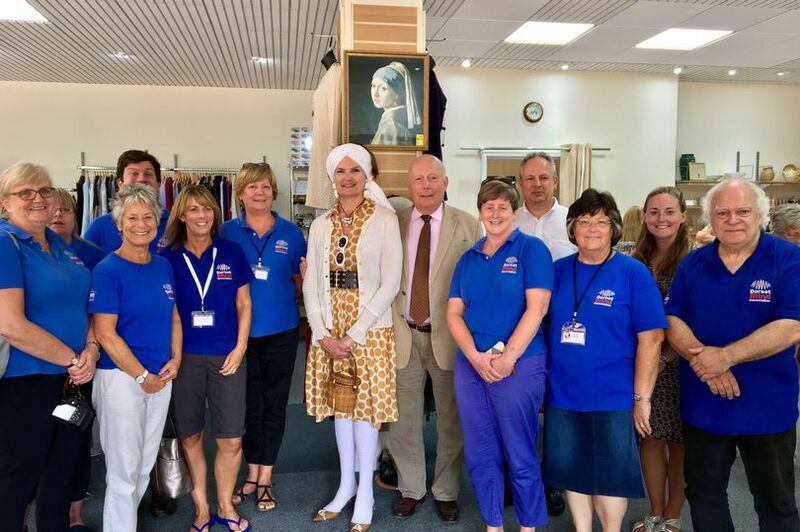 Our first charity shop opens in Ferndown. We are also awarded with The Queens Award for Voluntary Service. Please help us reach a hundred years and more by supporting our work.